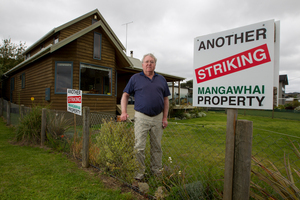 NZ’s Mangawhai has an intriguing story. (The newest entry is at the top). Go to the Agenda 21 in NZ page to read Kiwi, Dr Naomi Jacobs’ take on this story. She wrote an ebook especially to address this (you can download it at the page), given her years she’d spent researching the background ideology that feeds into this. You will be shocked to see what is afoot. This all relates to the UN’s Agenda 21 plan (updated version Agenda 2030) which has also been exposed by ex Australian politician Anne Bressington. You can watch her video at the Agenda 21 pages. 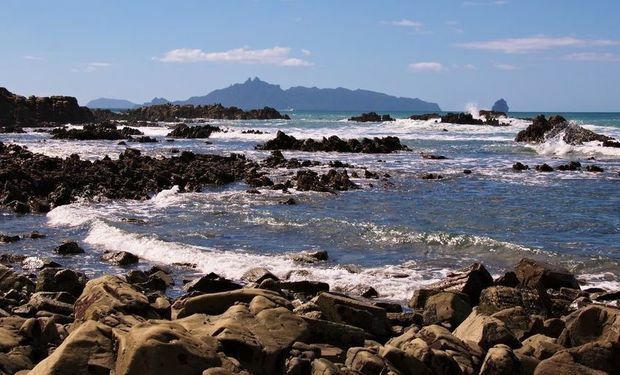 Mangawhai residents are considering an appeal to the Supreme Court after the Court of Appeal dismissed its appeal over retrospective legislation that validated rating irregularities for the wastewater scheme EcoCare. A Court of Appeal ruling, released on December 17, found in favour of the Kaipara District Council and also ruled that the Mangawhai Residents & Ratepayers Association (MRRA) must pay council’s costs. The association challenged a High Court ruling that said the council had the power to impose rates – which MRRA said were set unlawfully – and that the Validation Act, passed retrospectively by Parliament, validated rates for all purposes. MRRA chair Bruce Rogan says the Court of Appeal decision not only endorsed the “fantasy reasoning” of the High Court, but cemented it in stone. “To add a little salt to the wound they found that the ratepayers, whose only motivation was to get justice for all ratepayers, had to meet council’s costs for the proceedings,” he says. “Buried in the musings of the judge was the astonishing suggestion that instead of hounding the poor council, MRRA should have sued the Auditor General. Mr Rogan says MRRA now has to decide if there are grounds for a Supreme Court appeal. The Whangarei District Court has thrown out the arguments of Mangawhai Ratepayers’ Association president Bruce Rogan that his rates and many others set since 2006 were invalid because of multiple errors in the rating assessments. He said the council did not dispute the errors but the court had essentially said they did not matter. “Things like setting the rates inclusive of GST, there’s absolutely no power in the act to do that,” Mr Rogan said. Councils should not be able to use the law to gouge ratepayers when they did not comply with it themselves, he said. Man Has $5400 Stolen By ANZ Bank To Pay Unlawful Council Rates! Mangawhai is in the Kaipara district in the North of NZ. Mangawhai ratepayers and residents face massive rates rates increases, initially proposed at +1800% to raise money for a “sewerage scheme” it turns out that something much more sinister and far smellier is in the works. Luckily, people like Alan Preston and chairman of The Mangawhai Residents And Ratepayers Association Bruce Rogan are there to give light to this very important issue! Bruce Rogan shuffles down to the water’s edge, nursing his dodgy left hip, and poses for the photographer on the beach of the tranquil Mangawhai estuary outside his home. As the sun struggles to break through the clouds a couple of paddleboarders make their way across the inlet behind him, past some ageing fishing boats.Rogan places the sign from his front yard in front of him on the beach for the picture; Another Striking Mangawhai Property. You see a lot of them round here – almost as many as the For Sale signs.Rogan says he shouldn’t be doing this. He’s 67 and has a hip replacement operation due this week. He and his wife Heather came here from Auckland 14 years ago to spend a quiet retirement but he couldn’t resist dabbling in local politics. Now he’s leading the country’s biggest rates revolt, which has brought down his local council and threatens to turn even uglier. 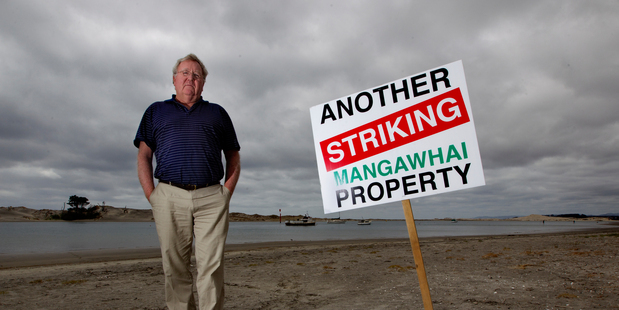 A rates rebellion in a small coastal town is growing as more than 500 Mangawhai residents refuse to pay an estimated $1 million or more to the debt-ridden Kaipara District Council. Rates have soared this year by about 40 per cent for many residents – more than doubling for some – to help pay off the council’s $80 million debt, which was mainly caused by a $58 million cost blowout for a local sewage treatment system. Peter Grierson, who owns a modest two-bedroom bach, said he couldn’t afford to pay his 38 per cent increase to just over $3000. Former New Zealand cricketer Warren Stott, who runs the Riverside Holiday Park, was told earlier this year that his rates bill would increase by more than 1300 per cent from $6316 to $84,850. He’s still not happy with a revised 43 per cent increase to $9050 and worries about the effect on the local economy.